I don’t know about you, but for me, 2018 has felt like a hard slog! 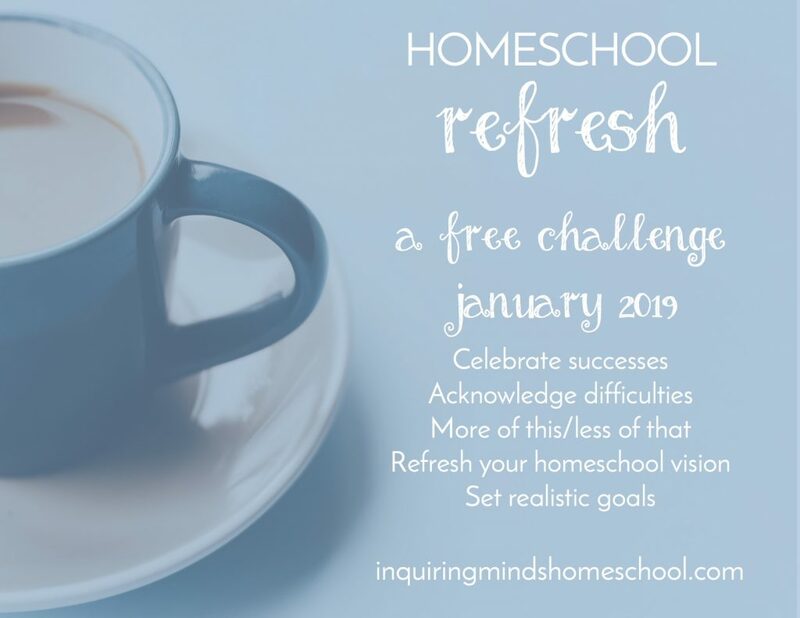 Not because of homeschooling – we’ve had some wonderful homeschool successes, and I’ve learned soooo much about what works for us. But it’s also been a year of ups and downs for my family and friends – births, and deaths, and everything in between. So what I’m really craving now is a refresh. 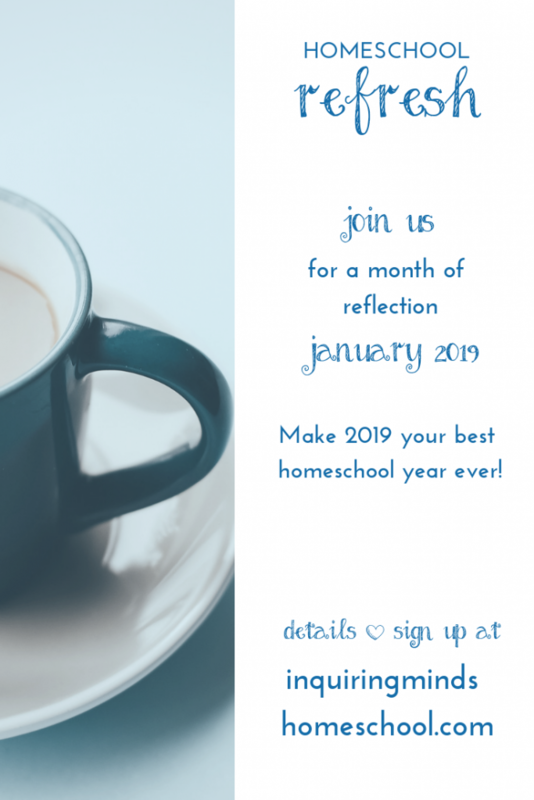 This January, I’m going to get together with as many folks as want to participate and refresh my homeschool. 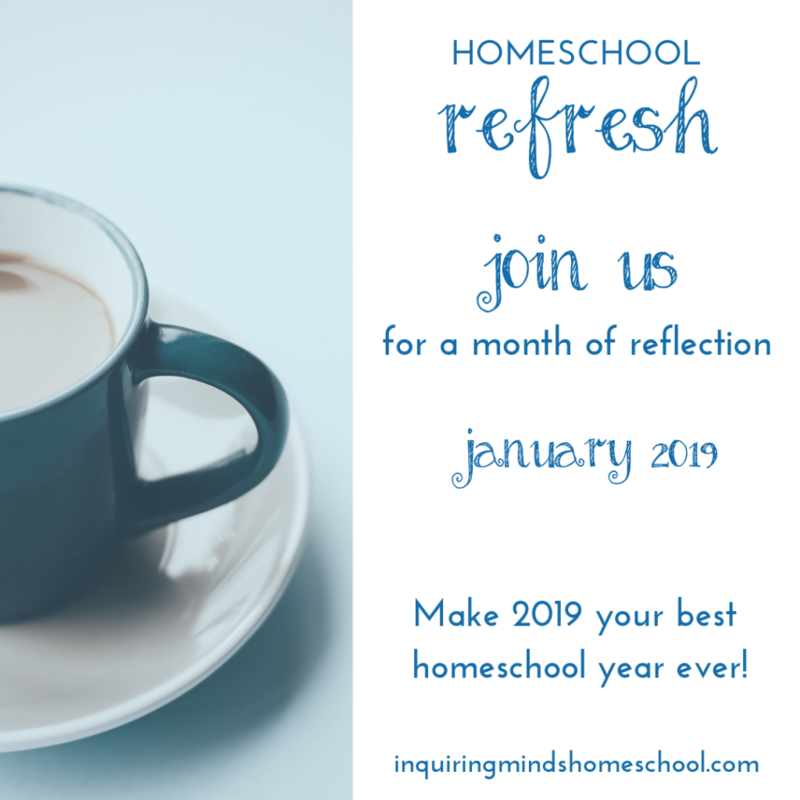 Over the course of five days – January 7 to January 11th – we’ll take an honest look at how things are going in our homeschools, and reflect on our next steps. The goal is to be gentle, but persistent. But NOT critical! We criticize ourselves enough as it is! 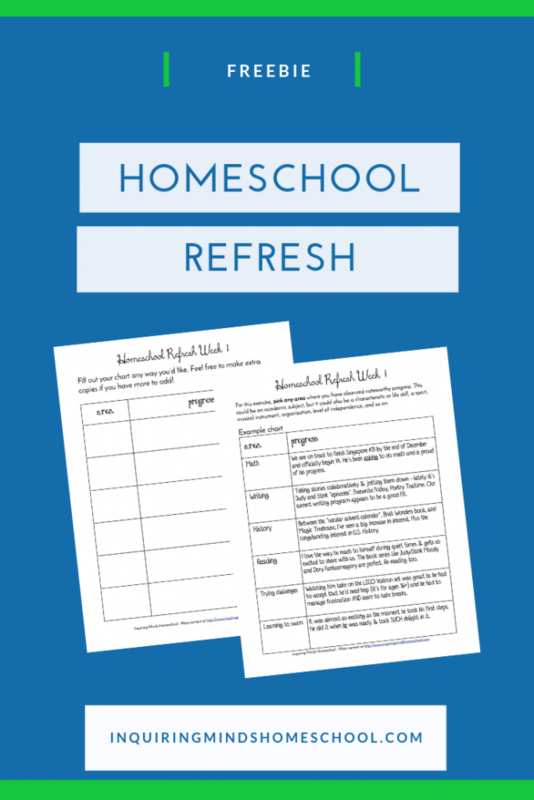 If you’re feeling tired, uninspired, or lackluster about your homeschool, you deserve to be refreshed! Could it be that 2018 has been a hard slog for you, but what you’re doing is actually working well? Or is it that you’d like to switch things up so that things flow more smoothly? When I feel tired, or worried, I don’t always perceive things the most clearly. I can get overly critical of my own performance and harp on the negative. So before I make any drastic changes, I always try to take a step back and first reflect. Then I can perceive what really needs to change! 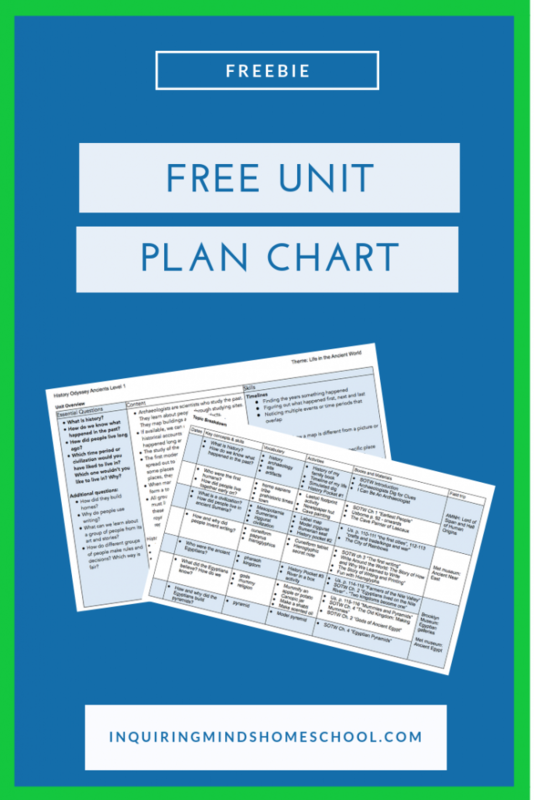 I’m still putting the finishing touches on the exercises and figuring out logistics, so I’ll post a link when the challenge is ready to go! 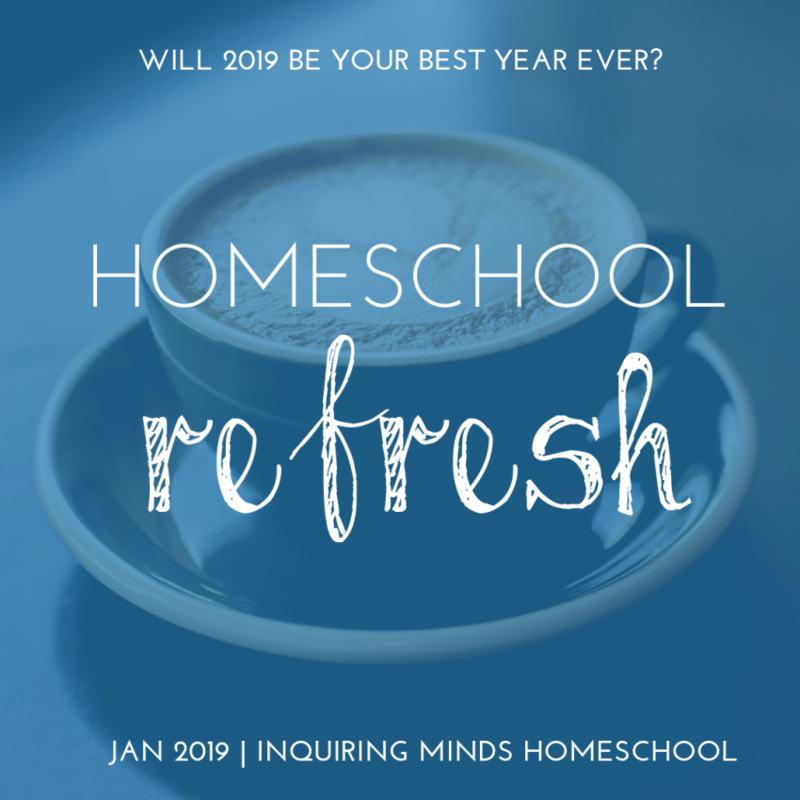 You can sign up for the waiting list to be notified as soon as it goes live! Click here: Sign me up!